It’s time for the annual rankings of the NL East, position by position! I’m pretty sure this posting is what Vegas uses to make their NL East odds. The rules: If a team has the #1 player at a position, they get 5 points for it. If they have the worst, they get 1 point. At some point I have to make judgments about the depth chart, so I used the roster I expect to see for at least the early part of the season, on top of assessing their abilities. I know what Ruiz did last year, and I know what McCann did, but I’m not ranking last year’s numbers, I’m projecting this years. I don’t see either of them repeating, and if you ask me who I’d rather have, it’s McCann. So The Song Remains the Same in this category, as I’ve put McCann at the top of the list each of the 5 years I’ve made it. I think Ramos has a chance to be very good, but he’s still young, his playing time might be limited, and he’s coming off a major injury, so questions abound. If Ruiz has an off year, which he has from time to time, I could see him slipping to 3rd or even 4th place. This is a mixed up, Helter Skelter group. 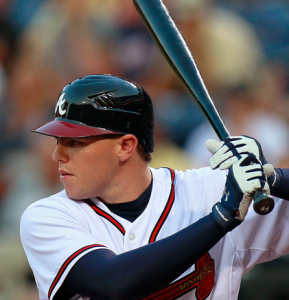 Will Freddie Freeman take that step forward that many think he will? Can LaRoche repeat what he did last year? Will Ryan Howard recover from his terrible 2012 to have a 30 HR season? What happened to Ike Davis last year? What can a healthy Logan Morrison bring? I have none of these answers, but I think almost all of these guys will have a better year in 2013 than they did the year before, all but LaRoche. I still put him ahead of everyone but Freeman, who I predict will have his breakout year at age 23. Utley would probably outpace the group even if he only played 2/3 of the season, although as he ages that is less certain. 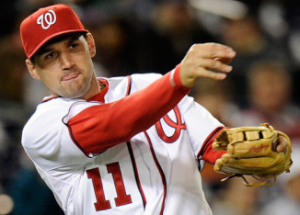 Espinosa’s May-Sept in 2012 beats what Murphy can do, and defensively Espinosa is better. Picking him to beat Murphy is optimistic, which isn’t exactly Breaking the Law, but until he shows that he can be consistent offensively, it’s hard to rank him higher albeit not criminal. 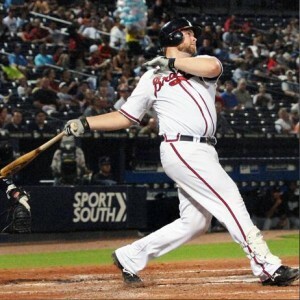 You might wonder why I’ve got Uggla so low. Jay Jaffe has lots of reasons here, but I’ll give you this: Uggla’s higher walk rate, and hence decent OBP was “the kind of spike that often indicates a player adjusting to a loss of bat speed before his performance declines further”, which could explain the 2012 power vacuum. And his glove aint helping his case. Donovan, which after looking at this list makes me think is the British hippy word for Daniel/Danny/Dan, is far behind the rest. The two stars in this group have serious ability, and serious bread after signing $100M+ contracts in 2012. Zim’s a better fielder than Wright, but Wright has better career hitting numbers. However, over the last 4 years, their OPS+ is almost identical (129 vs 130). Zim might not hit like he did after his cortisone shot last year (.321/.383/.584) but he won’t hit like he did before, either. It’s probably a toss up, Baseball Prospectus has Zimmerman was a 4.0 WARP vs Wright’s 3.9, but I think Zim will play like a healthy Zim can, and that outpaces Wright. Francisco is younger and has more power than a fading Polanco, who is still better than 36 year old Michael Young, not a very good hitter and a poor fielder. A year ago, if I had named Desmond as the top SS in the league, you would’ve called me Stone Cold Crazy. 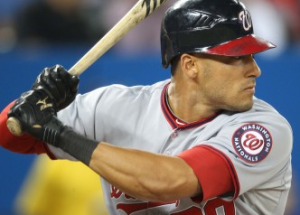 But Desmond broke out last season, and while I don’t expect a repeat of 2012, I think he’s a great fielder with serious power for his position. 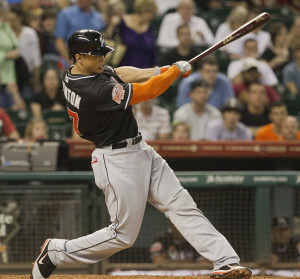 Although his OBP might drop, as long as it’s not drastic, he’ll be the best. Placing Simmons above Rollins was tougher, and I guess it shows I think Simmons will have a very good year hitting, on top of his slick glove work. I’m guessing Rollins will probably be better in terms of pure hitting numbers, but Simmons’ defense gives him the edge. Tejada isn’t anything special, but once again the Mets edge out the Marlins by starting an actual Major Leaguer. More craziness – if last year you said Harper was going to have “the third best season by a 19-year-old in the last 110 years” people would thought you were crazy. Well, Mama Weer All Crazee Now, because every pundit, including the stat-minded, think he’ll outperform projections for next year, too. I think Upton will be much better in Atlanta than he was last year in Arizona, I just think Harper is going to be incredible. He won’t match Trout’s age 20 season, but he is going to be spectacular. Dominic Brown is a talented young player, but he hasn’t demonstrated yet that he can succeed at the major league level. Lucas Duda was great in 2011, awful in 2012, and will probably fall somewhere in between those performances this year. Juan Pierre is just not good enough to start full time, although he does have value, its as a 4th outfielder at this point. Upton clearly has the highest potential of this group. He can hit for power and if he gets back to what he was doing several years ago he is in another class than the rest of this group. Denard Span’s biggest asset is that he’s a Speed King, as is Revere, but the difference is Span can get on base. Ruggiano was great last year, although he is a 30 year old career journeyman who has to prove it wasn’t a fluke. If it wasn’t, he might be the best CF here. Revere, as I mentioned, is a steals machine when he finds first base, but he doesn’t do that very often and has no power. 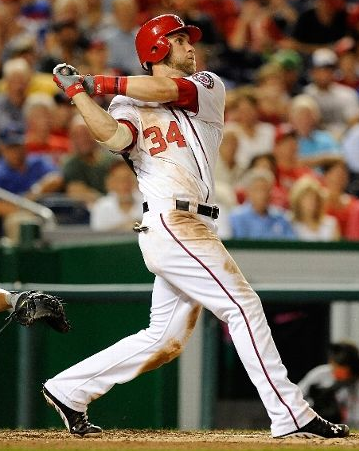 Nieuwenhuis is like Revere without the steals. The first two are some of the best players in the league, and are both 23 this year. Stanton hit at an MVP level last season, and he may be the only player that keeps any remaining Miami fans from wanting to Run to the Hills, far away from the stadium. Heyward came back from a second year slump to hit 27 HRs and steal 21 bases, and once again looks like a star in the making. Werth is very good, but not at the level of the first two. Baxter should be able to get on base to make up for having less power than Young, who doesn’t get on base. But hey, at least Young has questionable character! Good signing, Philly. When I started this, I thought Atlanta would win this going away. Of course, someone might believe that Harper won’t be as good as Justin Upton, or that my 2B rankings are too bullish on Espinosa and too bearish on Uggla. As it is, I’ve got a dead heat going into the pitching round. In the case of the position players, I’d still lean towards Atlanta being the league’s best, as the “question marks” I have above tend to favor the Nats more than the Braves. That being said, those two teams are clearly very close, while the 3 remaining are much lower. 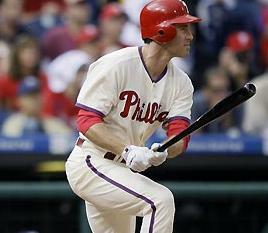 While the Phillies still have some big names, they have some truly gaping holes in that lineup. I know this is your list and I respect it but I disagree with your catcher rankings. Brantley is going to be a great catcher in the Majors. His bat may not be as good as D’Arnaud but his Defense and his management of the game will be better. At the end of the year, I think Revere will be better than Span. He’s younger and will hit for better average. Not too mention faster. 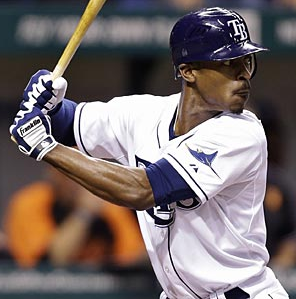 I do think Span will score more runs, have a better fielding percentage but long term, Philly may have the best CFer. I can’t argue to vehemently with you on the catchers – I think it’s totally possible that Brantley ends up being more valuable for his team. As for Span vs. Revere, I really think Revere won’t be that special. Projections aren’t everything but Baseball Prospectus has Span hitting .279/.345/.385, with Revere at .272/.311/.333. Fangraphs’ ZiPS has Span at .273/.332/.380 and Revere with .285/.328/.342. In other words, as little power as Span has, Revere has much less, and Span does a better job of taking walks. Revere may be faster, and could end up with more steals, but I think he has such a poor OBP/SLG he doesn’t have the value that Span does.